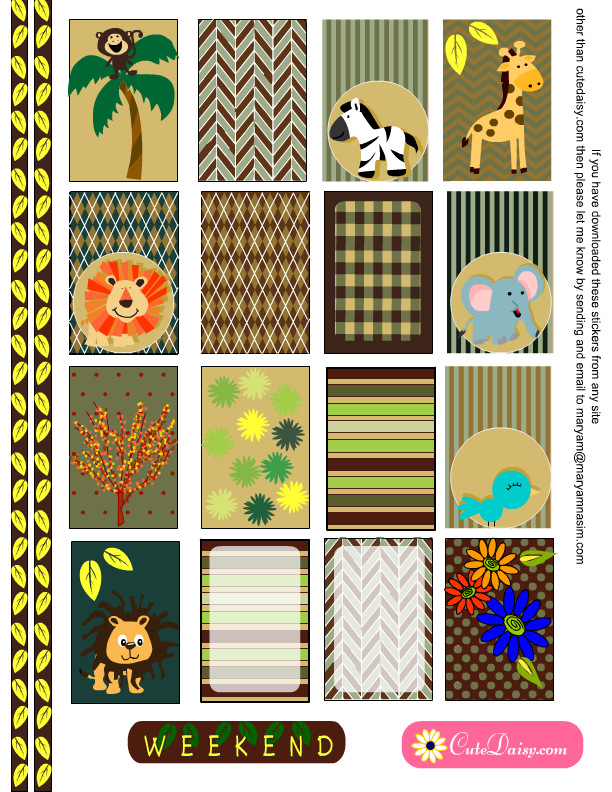 have a lot of requests for making different type of animals. Today I am sharing stickers with giraffe, lion, monkey, zebra and elephant. I have made these stickers in two different sizes. One for Erin Condren Life Planner and other for Happy Planner. 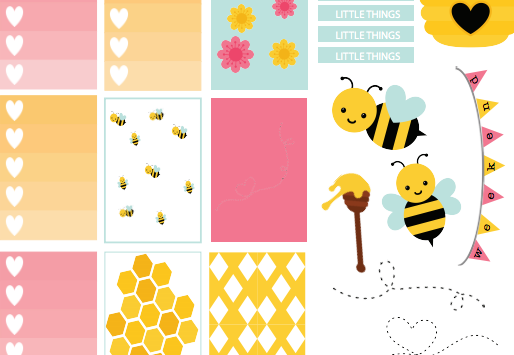 If these stickers are not sufficient to fill up your planner boxes then choose some polka dotted boxes from this page and mix and match the stickers. 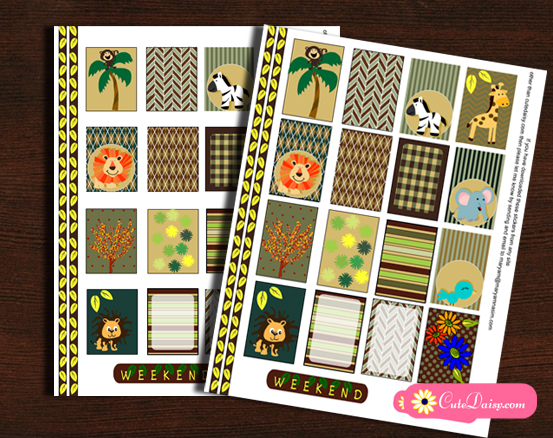 Click here to download this set of adorable jungle animals stickers for your happy planner. Please do not forget to leave a comment below this post. 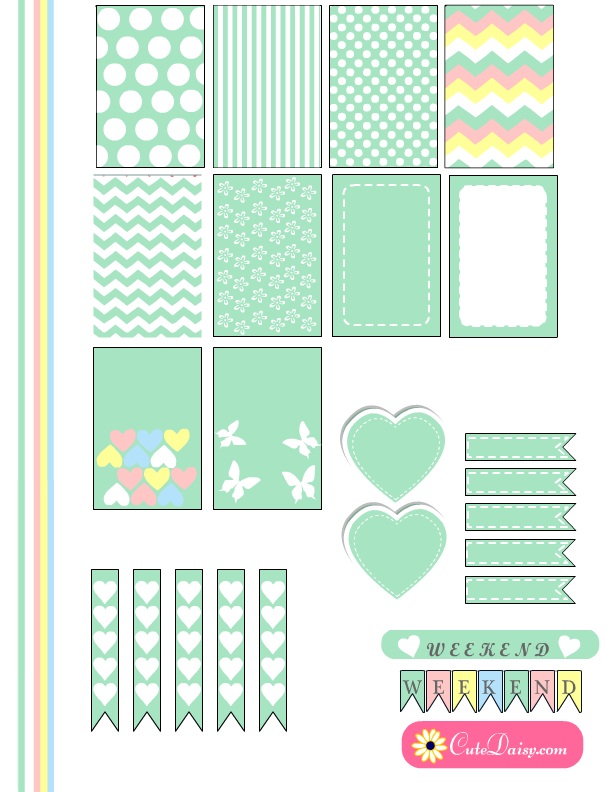 Click here to download these cute stickers for your Erin Condren Life Planner (ECLP) . Please do not forget to share this post on pinterest and facebook. These are adorable. Thank you so much! Thank you so much! I get excited everytime you post a printable! Can’t wait to go to the zoo so I can use these. Love them!!! 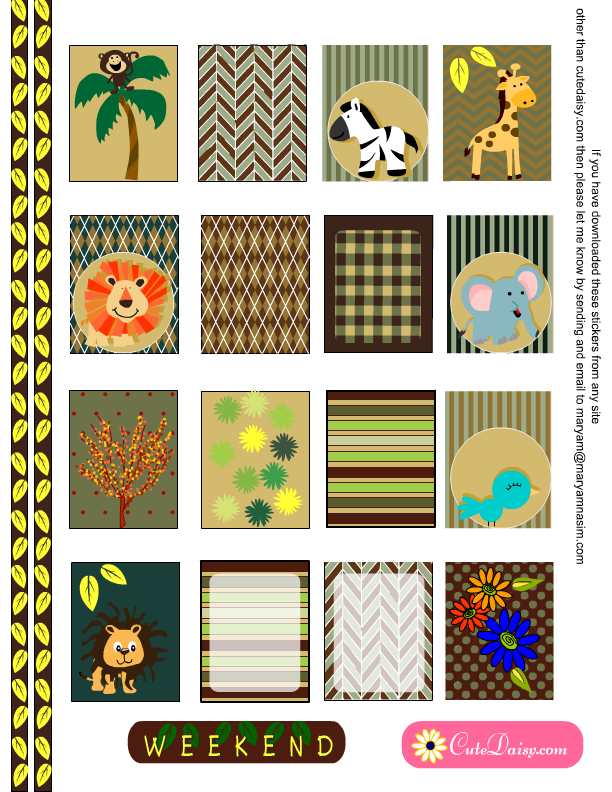 I love your THP Printables so, so much. They are very cute and needless to say they make up 90% of my layouts in my HP. 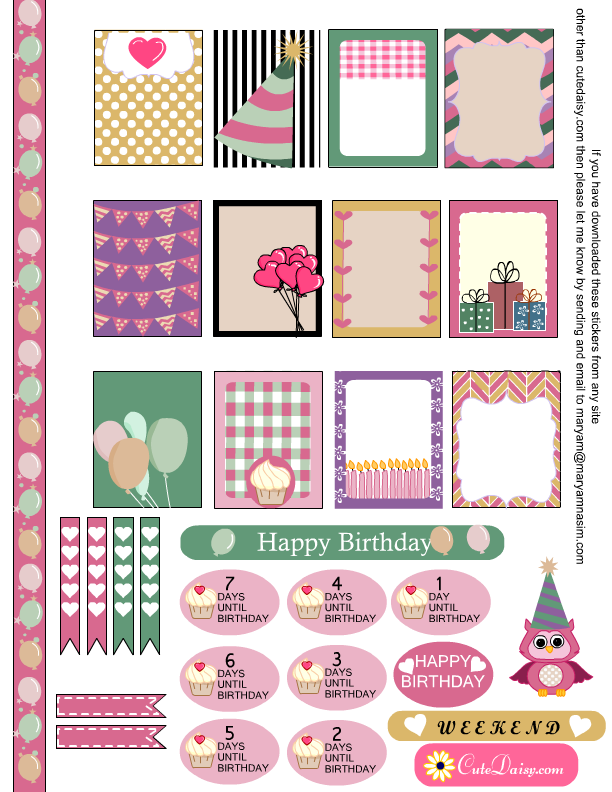 I like how you have the colored polka dots and you can complement them with your themed printables. Can I make a request of a printable? Hamburgers & Fries. With a cold drink or a shake to go along. You are the best in this whole printable thing. Thank You, so much your the best. I absolutely love the giraffe! Thanks! Oh, I love these!!! Love the monkey in the tree!! Again, just perfect to make my planner beautiful! 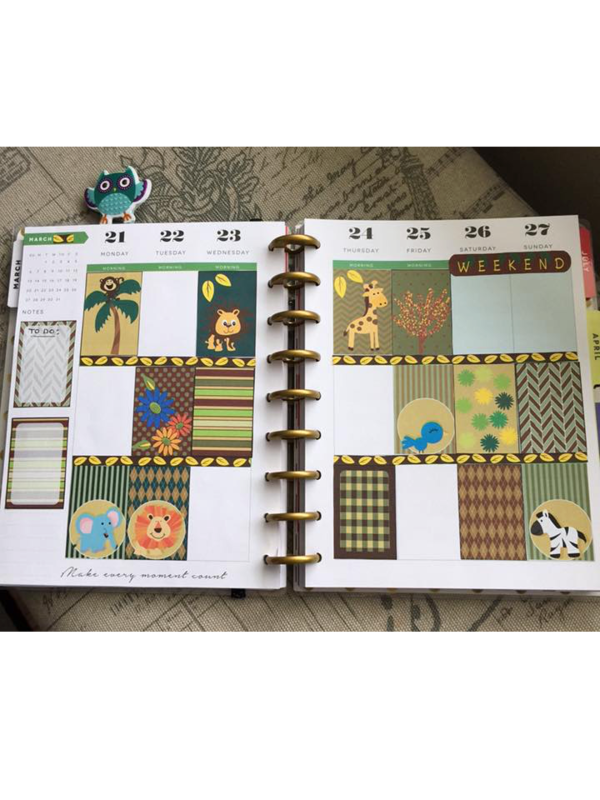 You are so sweet to offer these to us and now I realize I need another planner just so I can use more of your stickers!! Thank you, again!! !